As more states continue to consider the legalization of marijuana, a new study has revealed that alcohol impairs drivers more than marijuana. Several studies have launched in an effort to determine how marijuana impacts drivers. In this instance, the National Institute on Drug Abuse, Office on National Drug Control Policy, and National Highway Traffic Safety Administration funded the study. No matter if is it legal or not, no one should ever get behind the wheel while under the influence of drugs or alcohol. If you or someone you love has been injured in an auto accident with an impaired driver, the victim may be entitled to compensation for their pain and suffering. For a free case review, call or text 1-800-706-3000. According to researchers, alcohol significantly increased lane departures and maximum lateral acceleration during observation. Drivers under the influence of marijuana were actually more likely to drive cautiously to compensate for their impairment. Alcohol-influenced drivers underestimated their impairment and took more risks. Participants drove a simulator for 45 minutes while researchers focused on how many times the car left the lane, weaved out of the lane and the speed of the vehicle. Although marijuana had less of an effect on drivers, the drug did impair driving performance. Specifically, the drug reduced the drivers peripheral vision, which is basically tunnel vision. In 2009, a different study concluded similarly that marijuana users compensated effectively while driving as a result of their impairment. However, the combination or marijuana with alcohol eliminated the use of such strategies effectively. Law enforcement continues to work on finding ways to determine what the legal limit may be for marijuana, similar to the limit for alcohol. 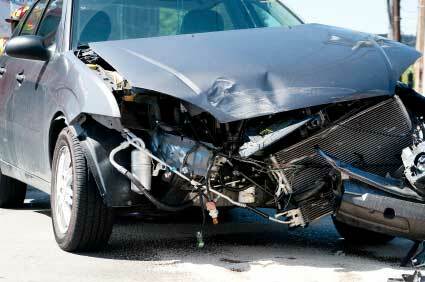 Have you or someone you love been injured in a car wreck caused by an impaired driver? The experienced car crash lawyers at Phillips Law Group can thoroughly investigate your claim and help to determine your legal options. Our injury attorneys have obtained millions on behalf of clients who have been injured in a motor vehicle accident, and are ready to help you with your claim. Fill out the Free Case Review to get started.